As you know Google’s Hangouts service enables you to keep in touch. Message friends, start free video or voice calls, and hop on a conversation with one person or a group. After GIF support and video call up to 10 friends and many more. Hangout is brining a new feature that will allow the user to do video call with out having an Hangouts account or I can say Google account. 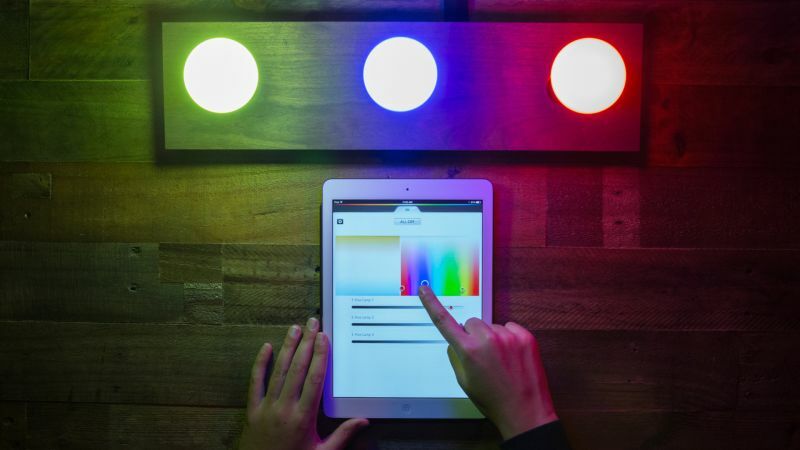 Meeting organizers will receive a prompt to accept or deny entry to users who are trying to join a Hangout. They will also have access to tools to mute or remove participants if necessary. That’s it !! Joining a meeting should be as easy as walking into a room. That should be the case whether you’re meeting in person, or face-to-face over video. This week we’re rolling out an update to Google Hangouts that makes joining a video call as simple as clicking a link in an invitation. No filling in forms, no need for a Google account, just simple, easy access to meetings. We do email every day. Have you ever thought about the journey of email from sender’s inbox to yours. But Some providers send your emails over unencrypted connections. 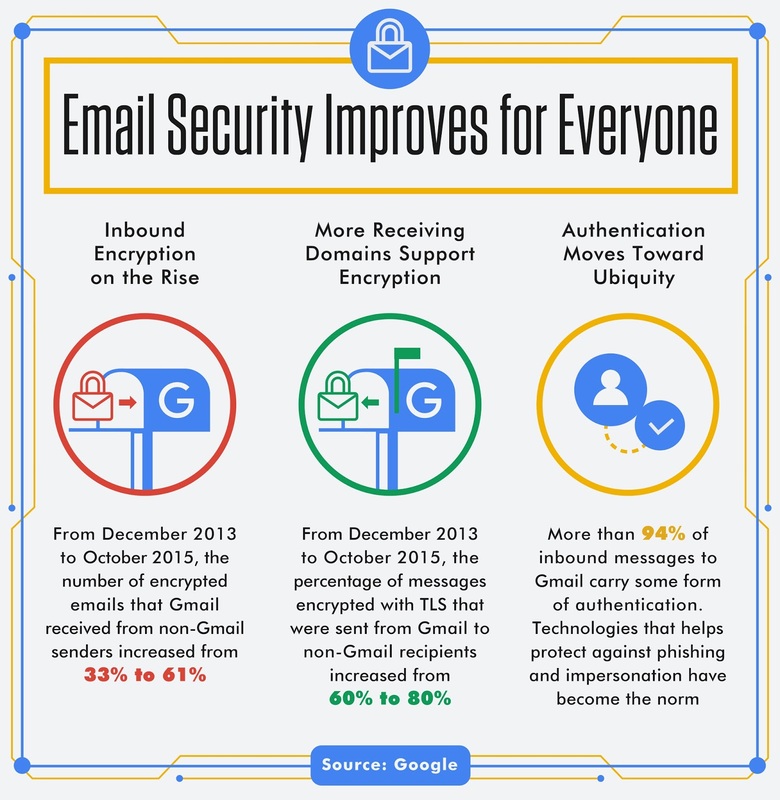 Google is constantly working to help make email more secure for everyone. These efforts are reflected in security protections like default HTTPS in Gmail as well as our Safer Email Transparency report, which includes information about email security beyond just Gmail. Google said today that encrypted messaging is on the rise: Since 2013, the number of encrypted emails that Gmail received from non-Gmail senders increased from 33 percent to 61 percent. Because of that final 39 percent, though, Google will serve up warnings. “While these threats do not affect Gmail-to-Gmail communication, they may affect messaging between providers,” researcher Elie Bursztein and engineer Nicolas Lidzborski wrote in a blog post. Google announced the launch of its new offline navigation and search capabilities for Google Maps on Tuesday. Previously, when looking at Google Maps offline, you could only look at a certain area without seeing any details. Now, you have access to online capabilities such as turn-by-turn voice directions and the ability to search for specific destinations. When using the search bar offline, autocomplete will still be available and you’ll be able to see hours, contact information, and reviews for a specific location. 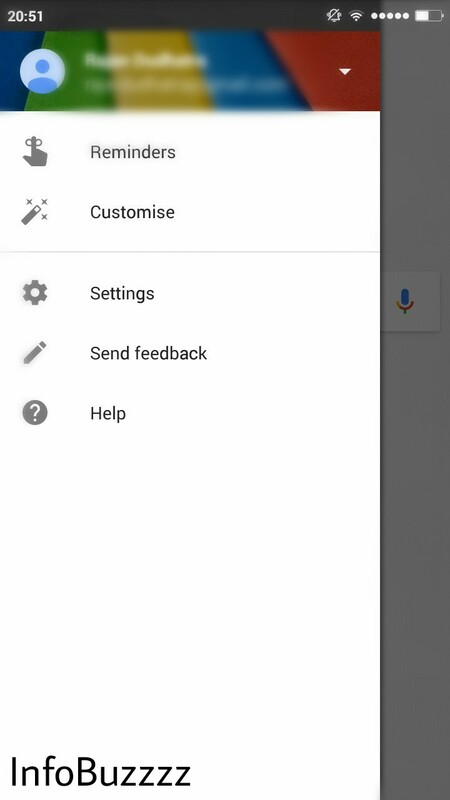 You can download an area by searching for a city, county or country, for instance, and tapping “Download” on the resulting place sheet, or by going to “Offline Areas” in the Google Maps menu and tapping on the “+” button. Once downloaded, Google Maps will move into offline mode automatically when it recognizes you’re in a location with spotty service or no connectivity at all. When a connection is found, it will switch back online so you can easily access the full version of Maps, including live traffic conditions for your current route. By default, we’ll only download areas to your device when you are on a Wi-Fi connection to prevent large data fees. How to Use Google Without being Tracked – Search Engines That Never Tracks You! I love how “evil” Google is. Do you hear that, Google? I want you to have all of my data, as long as you keep protecting it. I want you to learn everything you can about me, and I want you to use that data to make my life better. I want you to make my life easier. I want services like Google Now to give me information before I even know I need it. I want it all. But many people aren’t in the same boat as me, and there are plenty of very valid reasons to want to protect your data and keep it out of Google’s hands. But should that mean you have to stop using Google for searches? Well guess what: it only takes one step to stop Google from tracking you, and you can still enjoy Google search along with several other Google features. Plus, there are some great alternatives to Google search that don’t track you, and we’ll cover them here as well. Get Ready For Newly Designed Play Store! There’s an upgrade coming soon for the Google Play store, if pictures posted by one Google software engineer are to be accepted. Kirill Grouchnikov, who has taken a shot at the application for right around six years and is proceeding onward to another group in the organization, transferred the photos above and beneath to his Google+ account. It doesn’t resemble an aggregate redesign of the Play store’s outline, yet it’s surely fresher, with smooth livelinesss and another format. New animations sliding from section to section.